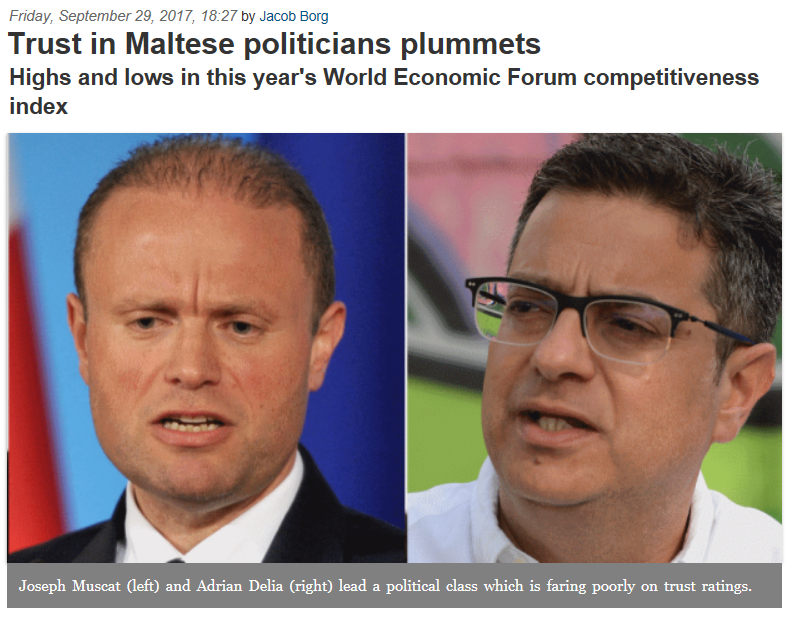 So public trust in politicians has plummeted in Malta, falling 17 places, in this year’s World Economic Forum competitiveness index, over last year’s. In the current index, published last week, Malta ranks at 74, down from 57. Malta also fell 10 places, from 79 to 89, in the category assessing favouritism in decisions taken by government officials.